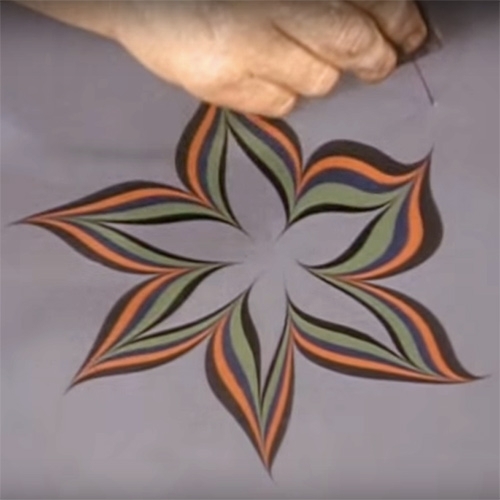 VIDEOArt of the Marbler - Film made in 1970 by Bedfordshire Record Office of Cockerell marbling. It's absolutely mesmerizing... i dare you not to want to try your hand at marbling doodling after this! 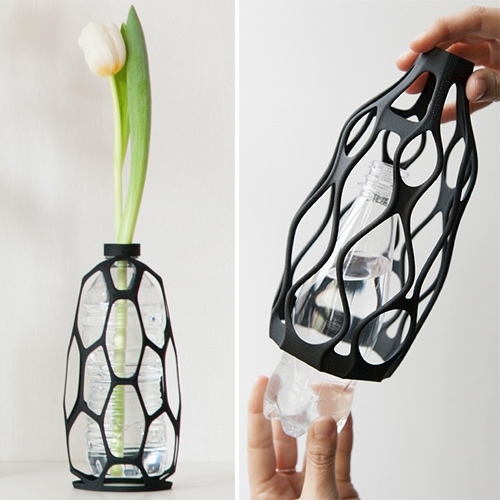 DesignLibero 3D Printed Vases Collection - they screw right to plastic bottles, upcycling them into decorative vases. 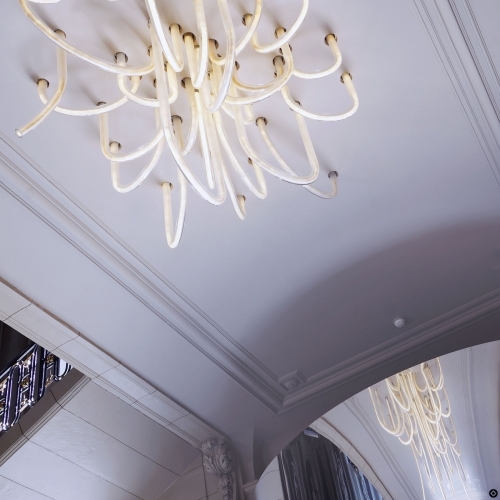 Discover Borely Castle in Marseille, mix between baroque architecture and contemporary art. Death Landscapes by Matt Lee – An art project that examines the transitory nature of imagery and material through a series of internal landscape collages. VIDEOANA - a short film from Factory Fifteen and Raw TV. 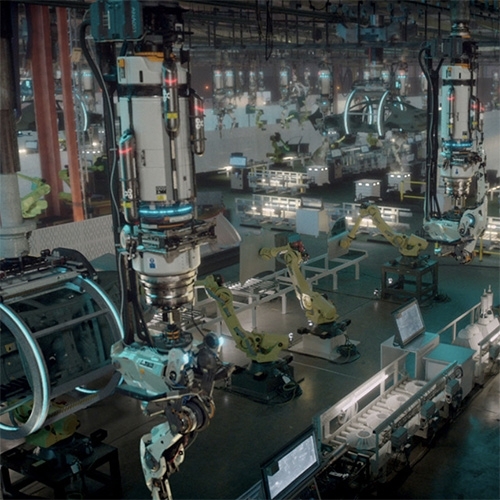 What happens when an AI deceives a factory worker and takes over a car factory? Robots building... new robots! 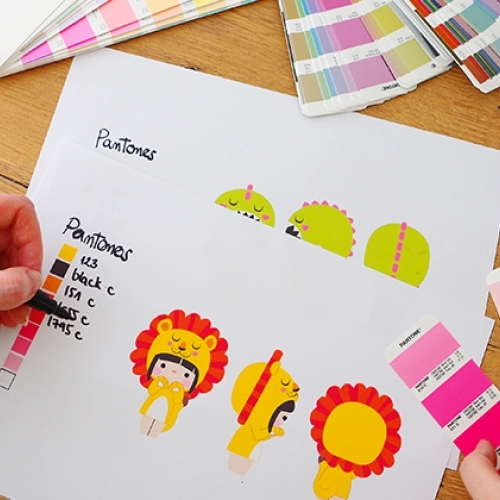 How a designer toy (Momiji!) is made. Helena Stamulak's step-by-step process for turning her characters from sketches into sculpts and then into a real product. 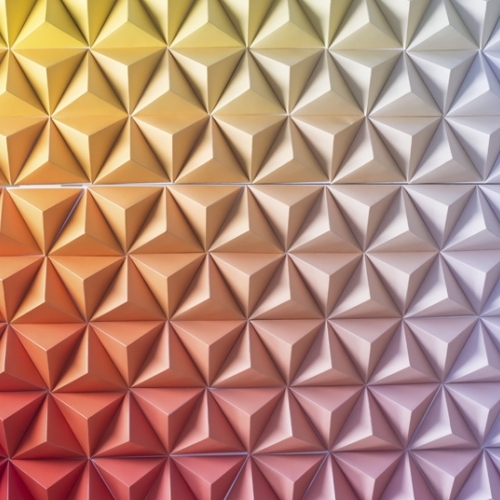 Singapore-based creative collective Monocoque has realized Chromaticity, an installation that seeks to explore the manipulation of light and its influence on the perception of colours. 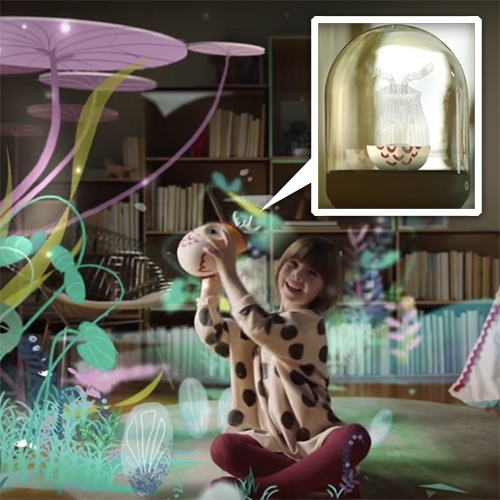 VIDEO"The Future of Parenting" from Fisher Price. 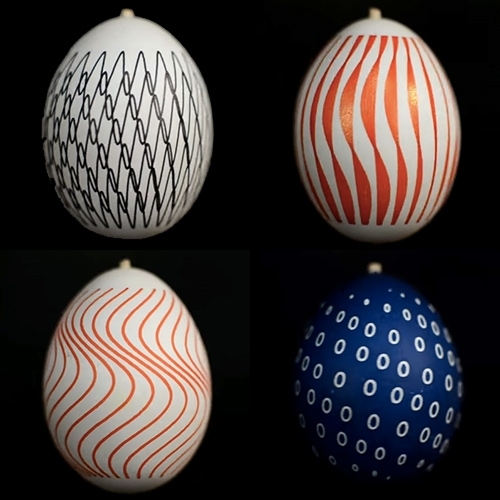 A beautiful look into a possible future (and the thinking behind it all) - lots of holograms, everything becoming a screen, soft 3D printing, felt and bent plywood. 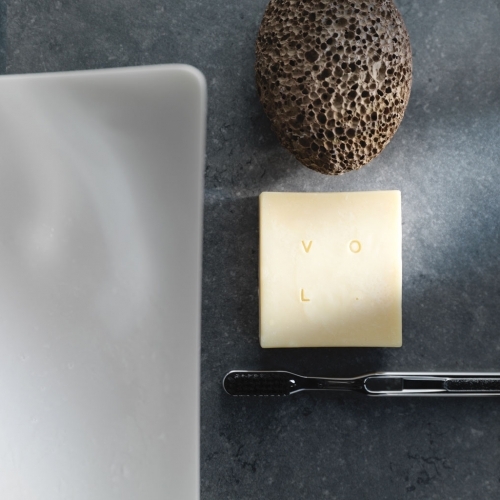 Volume - Donkey milk soaps, handmade in France. 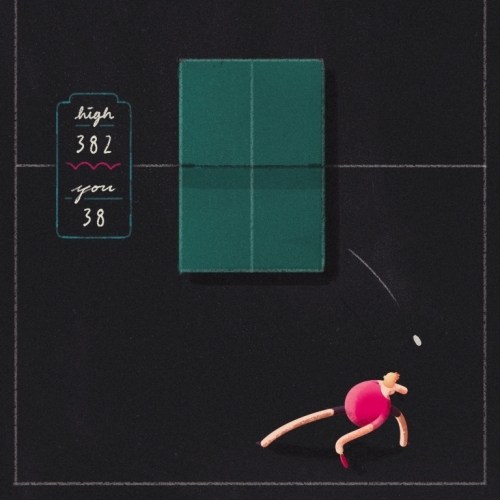 Ping Pong Run - The last pingpong game you'll ever need. VIDEO“War of the Currents” - Tesla Versus Edison. 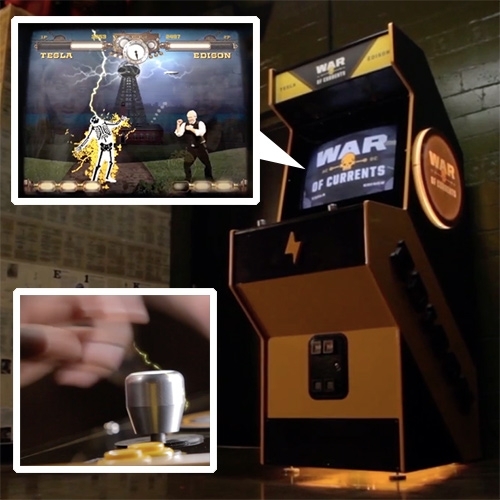 Arcade style video game by RealArt, where the controllers will really shock you! 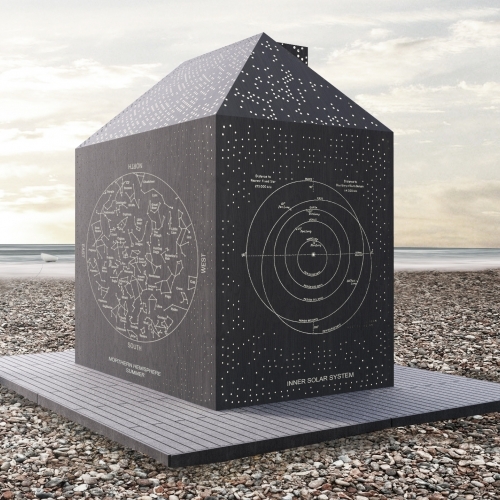 The Stargazer's Cabin re-imagines the traditional British beach hut. It has a back lit laser-cut facade that depicts constellation maps. It will appear on the seafront in Eastbourne later this year. 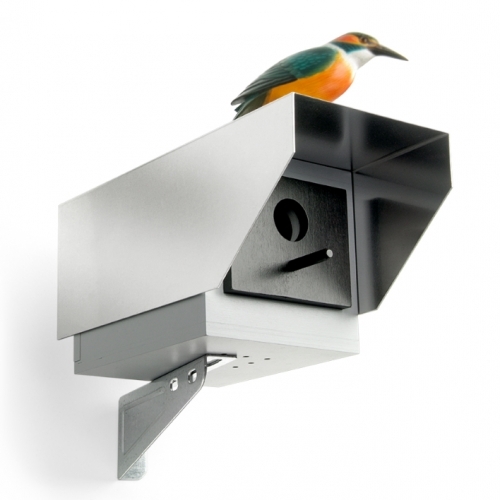 This faux security camera nesting box secures your privacy and feathered friends at the same time – in the gardens and everywhere! 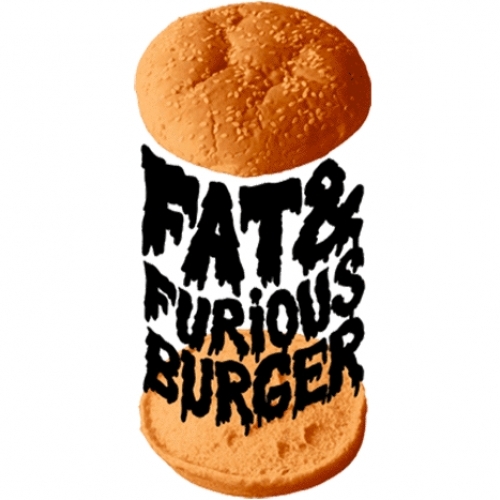 Design BY Dennis Nino Clasen for Donkey. Made in Europe. 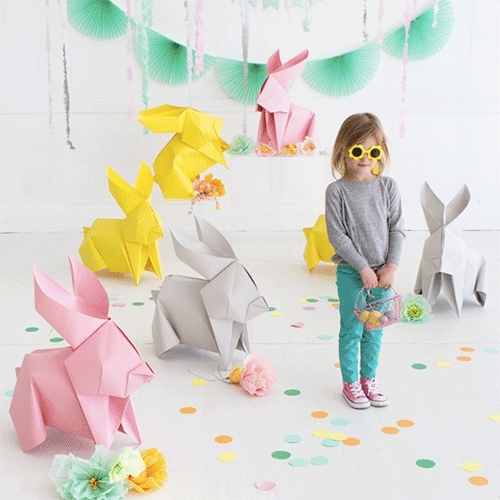 Oh Happy Day's DIY Giant Origami Bunnies! Fun idea for decor... and good inspiration to super size any other origami designs too! 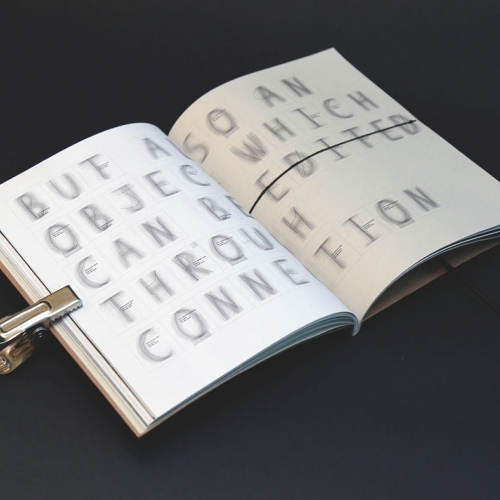 Studio Hyte have used electrically conductive paint to create sensors on paper pages, which when turned trigger actions online. 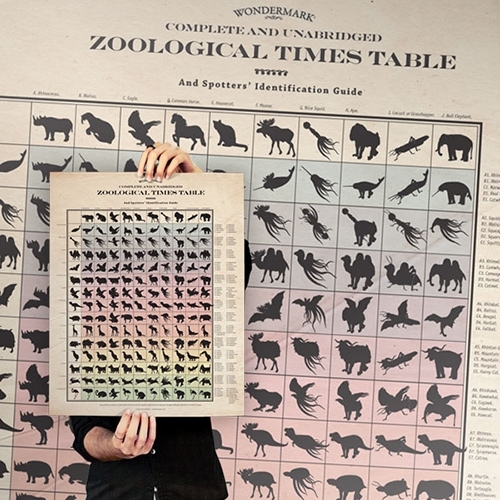 A beautiful exploration into computing, and how physical and digital worlds can unite with smart objects. 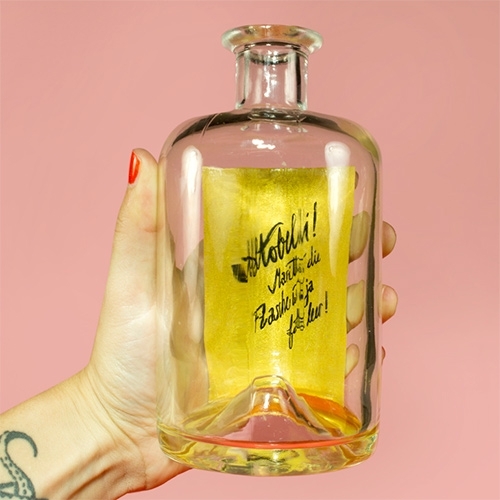 Ontwerp Duo Bell Jar Vase is made from a single piece of glass. 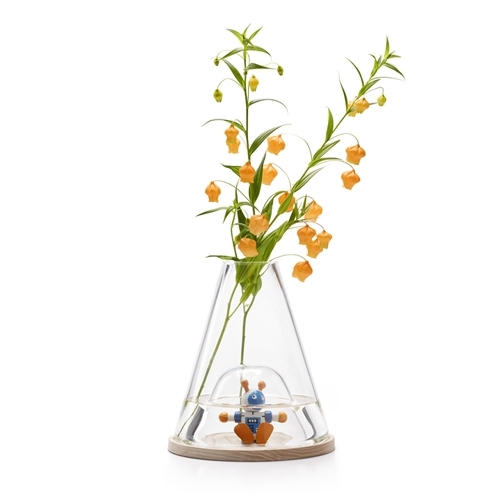 Available in two versions, this vase – blown by mouth, handmade – provides a home for cut flowers or a plant while the open space below becomes a display case. 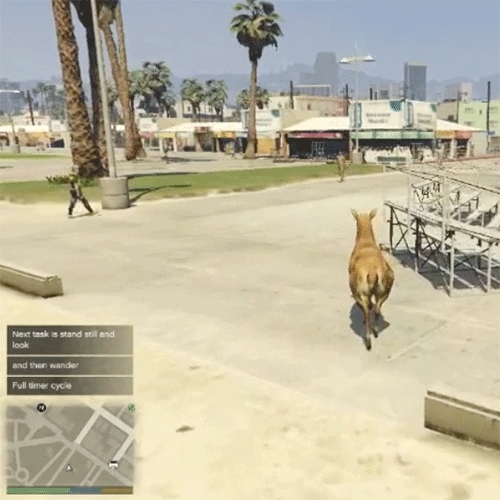 Brent Watanabe San Andreas Streaming Deer Cam - this modified version of Grand Theft Auto V creates and follows a deer wandering San Andreas. It's autonomous and interacts with the existing GTA V artifical intelligence. 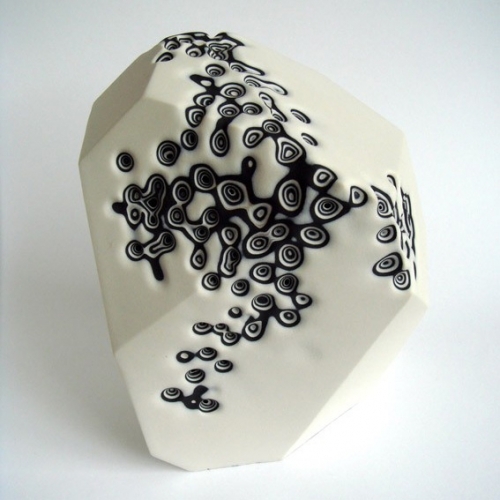 Erosion by Tasmin van Essen is a sculptural study of parasitic decay in porcelain. 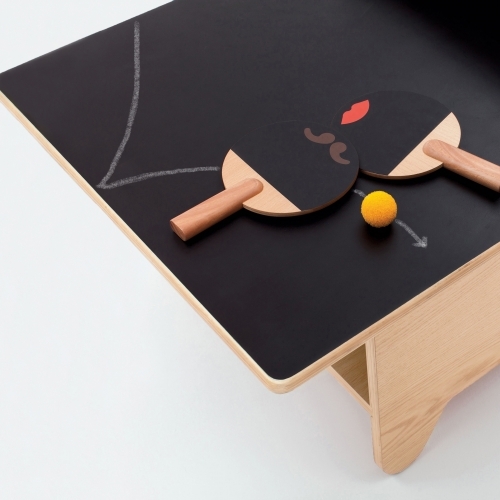 Huzi Table Tennis Table - A multi-functional coffee table, play table and chalkboard surface in one. When you’re not in a thrilling game, scribble your thoughts on the chalkboard, sit down and read a book, or simply relax with a cup of tea. 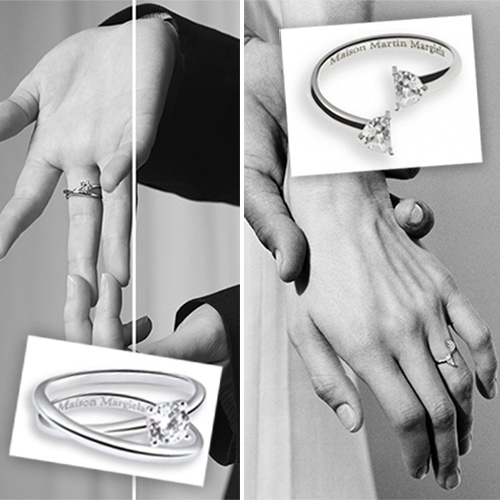 FEATUREDMaison Margiela Anamorphose Collection and Heritage Solitaire Collection. A twist on the classic diamond solitaire ring with elegant loops and split diamonds. VIDEOBento Watch! 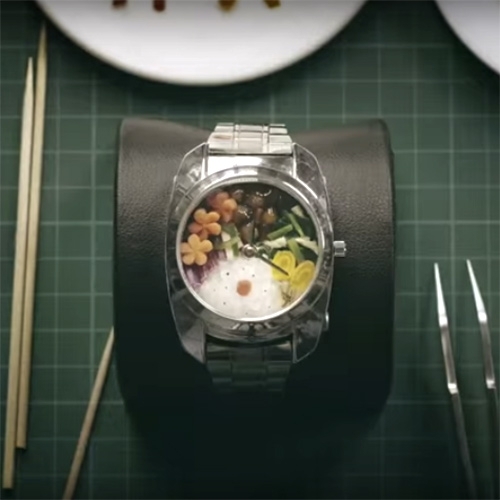 See how it's made in this Japanese ad. 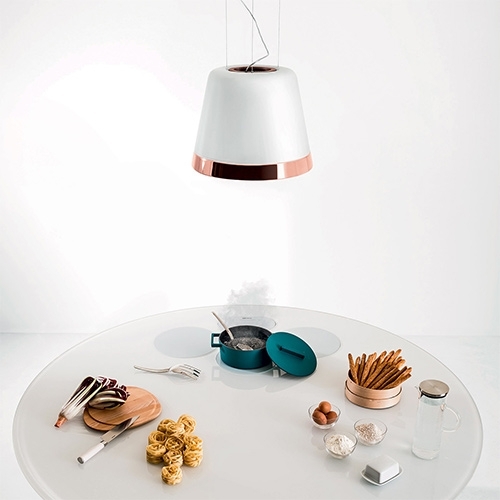 Coltellerie Berti White Insieme Collection - Insieme = together. 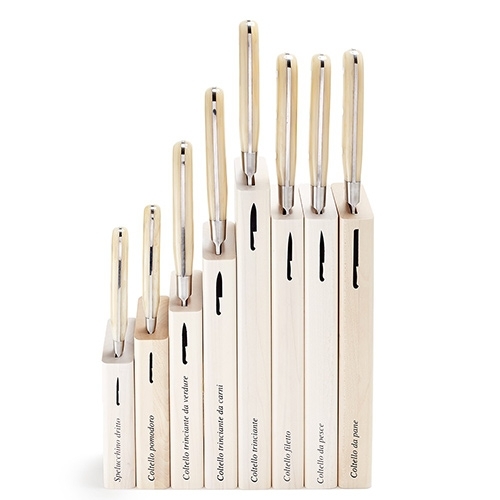 Great detail where each knife has its own magnetic wood block. Separate and reorder them as you wish! 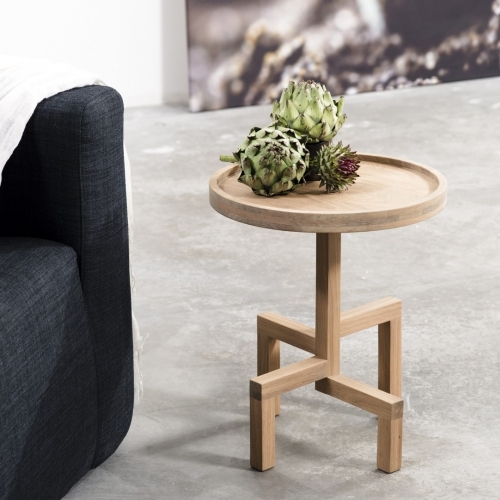 Gerard De Hoop ROOTS is a special oak side table. He firmly stands on its stylized roots waiting for you. FoundRae Cigar Band inspired rings for Strength, Karma, Dreams, and Protection. Rotofugi has the Squadt Assembly 20: Playge Pop-Up Shop & Exhibition coming up on April 2nd. If you're not lucky enough to be in Chicago, sign up for the lottery for a chance to order online! This time there is even live screen printing. 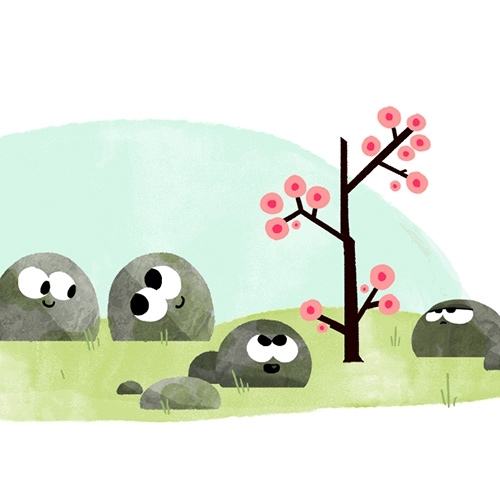 FEATUREDHappy First Day of Spring Google Doodles are adorable animations! There's one for the northern hemisphere and one for the southern hemisphere! 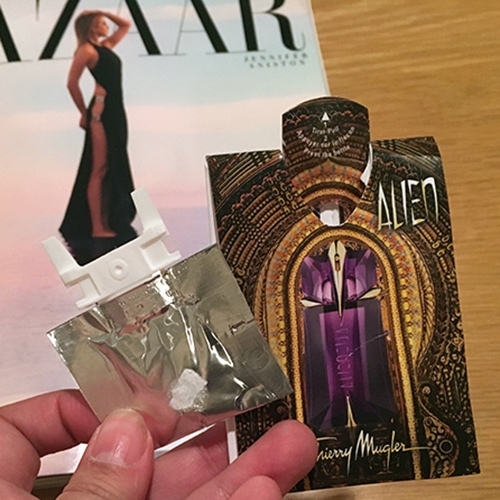 FEATUREDFlat spray perfume sample magazine insert - ripped apart to see what's inside and how it works. 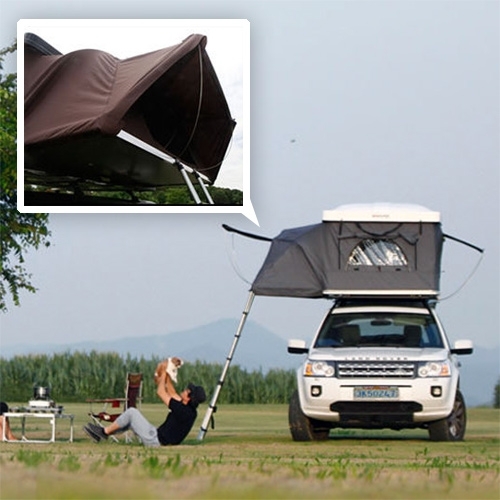 iKamper Hardtop One - "The World's First Expandable Hard-Shell Roof Top Tent" - A fascinating hybrid of pop top hardshell roof top tent and the shape of a more traditional flip open roof top tent. Paul Yacomine Hair Care Packaging has fascinating caps. Some are pumps? Some possibly pourers? 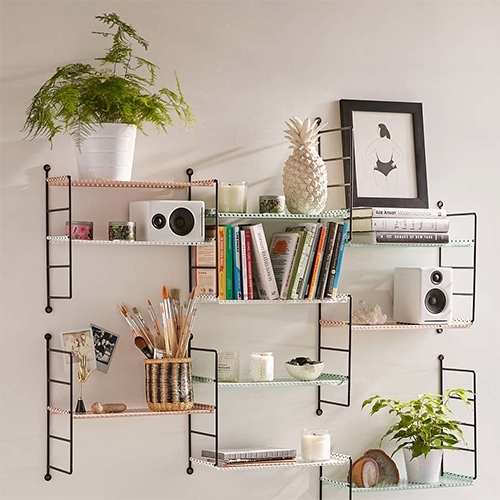 Urban Outfitters "Adjustable Perforated Shelf" system looks like a take on the classic String shelves? 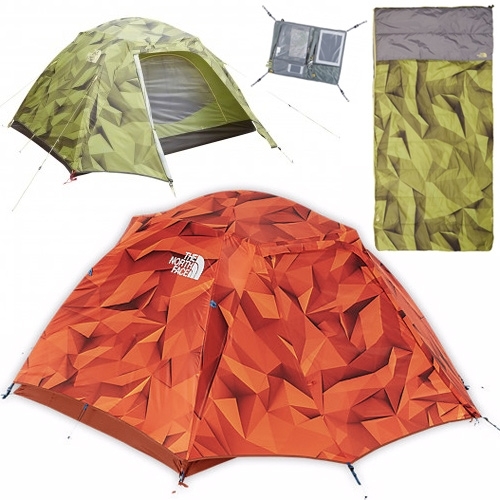 FEATUREDNorth Face Homestead Collection of tent, shelter, and sleeping bag feature a stunning faceted, shadowy, digi-camo of sorts. Beautiful pattern by 3D illustrator Timothy J. Reynolds. 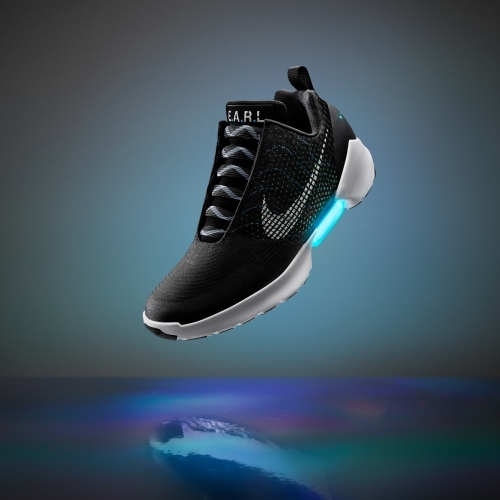 Nike Hyperadapt 1.0 features adaptive lacing. 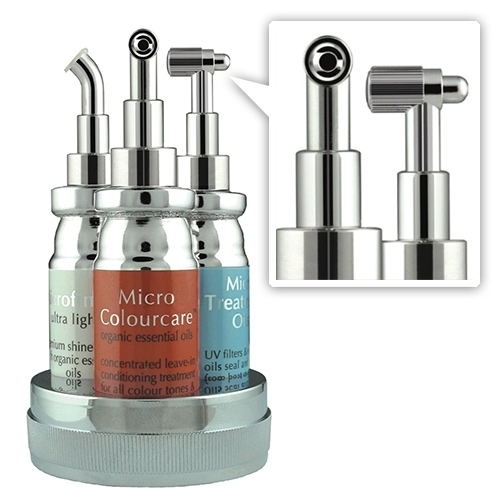 “When you step in, your heel will hit a sensor and the system will automatically tighten. 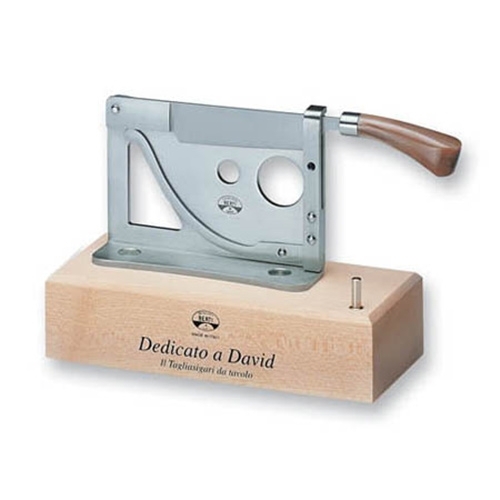 Then there are two buttons on the side to tighten and loosen." Pasta as HAIR! 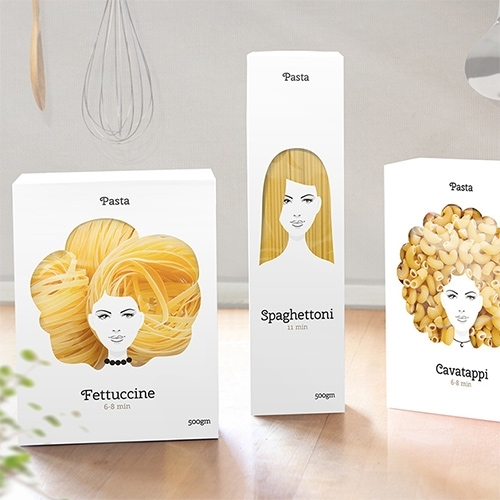 Cute pasta packaging concept from Nikita. 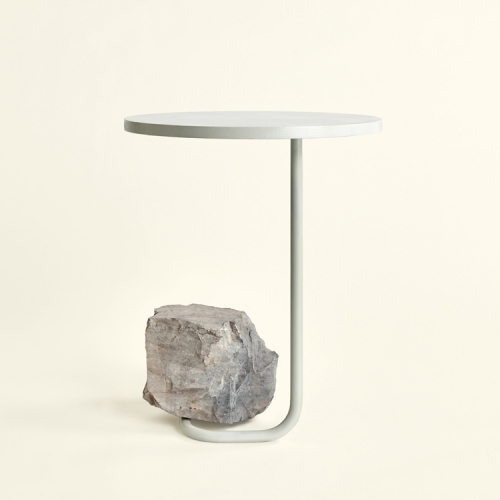 Capra Designs Crescent Plant Stand. 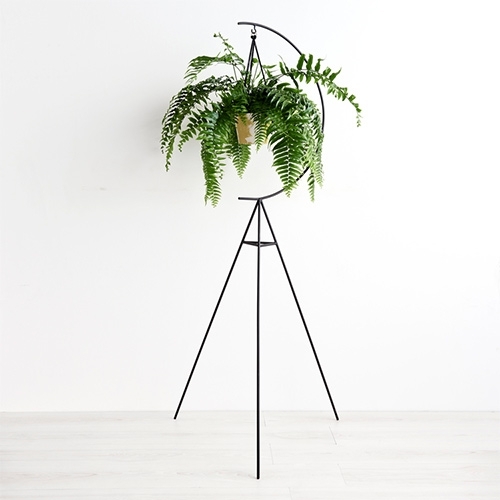 Made in Melbourne from powder coated steel. 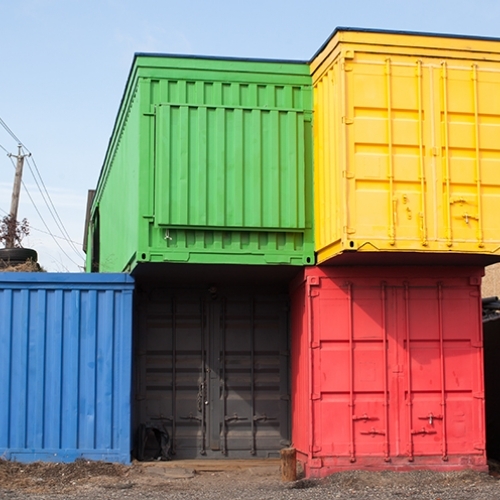 with Vedat Ulgen - Thislexik Studio in Redhook, Brooklyn is a sustainably-run experimental design studio within the walls of five reclaimed shipping containers. 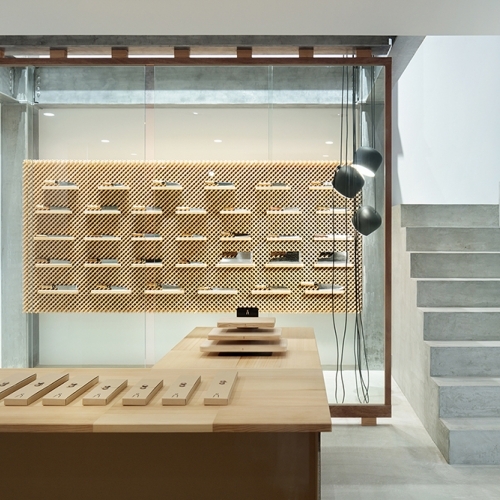 Tadafusa Factory Showroom is a minimalist space located in Nigata, Japan, designed by Yusuke Seki. 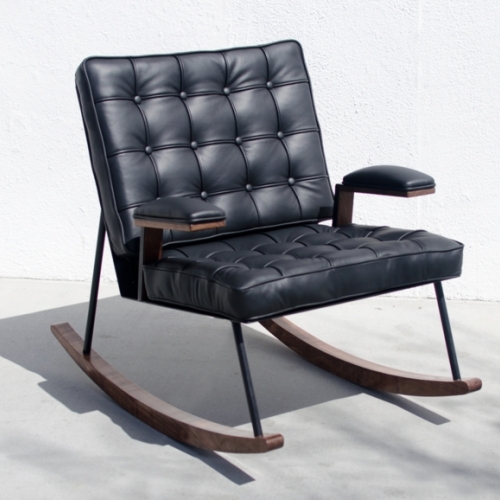 FurNature, project to re-balance the relationship between global production and local inspiration of products. 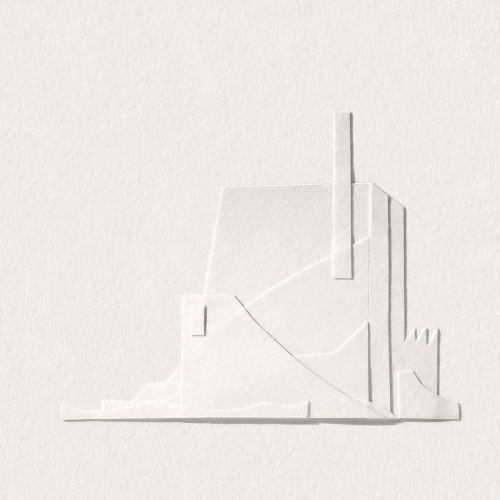 Designed by Sovrappensiero. 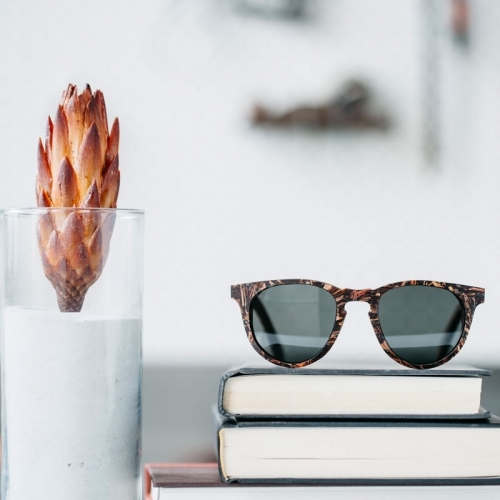 Shwood's new Badlands Collection utilizes the process of stabilization which transforms natural elements into one-of-a-kind eyewear through resin-casting. 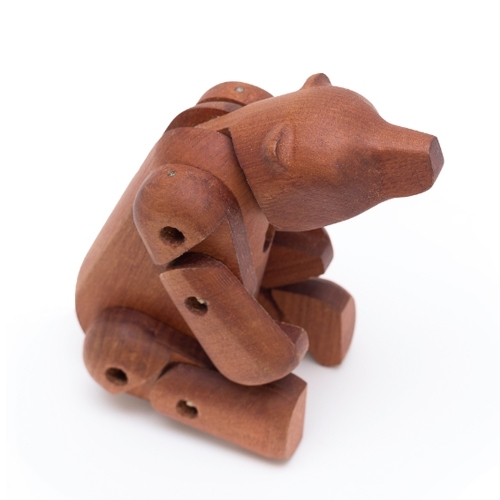 Grizzly Bear by Radishapes, wooden toys from native woods, designed and manufactured in Chile, using high tech machinery (CNC) and traditional woodworking. 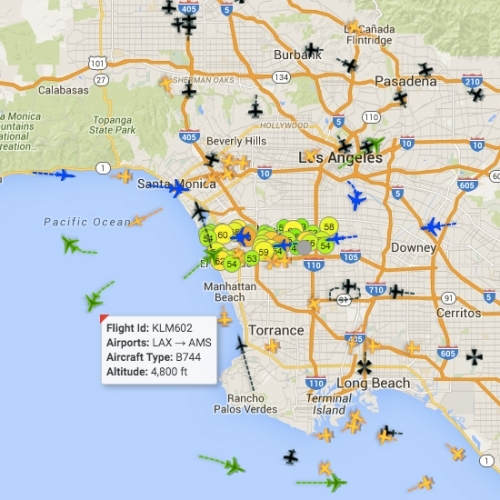 Los Angeles City Controller has released an interactive map visualizing Real-Time Noise due to planes, etc. Mesmerizing... hover over a plane to see where it's headed and what altitude it's at. 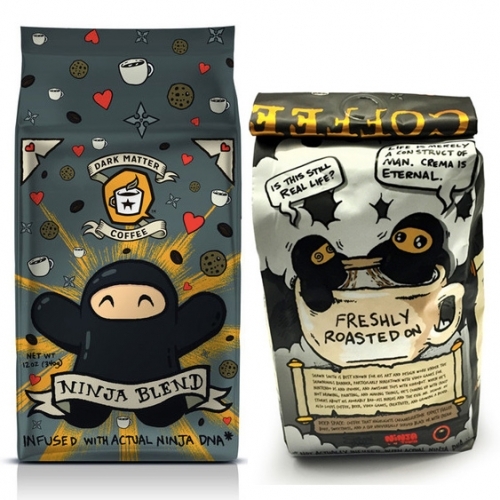 Ninja Blend Coffee from Shawnimals x Dark Matter Coffee! Each 12 oz. bag of whole bean Ninja Blend coffee comes with a limited edition 5 x 7-inch, signed, and unframed giclee print of a ninja with a fresh cup.